The design is inspired by the shirts worn during the ten most significant seasons for the club and the fans. MILAN - FC Internazionale Milano will showcase a commemorative jersey in the Milan derby as they celebrate 20 years of partnership with Nike. 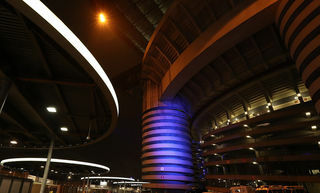 The Inter x Nike 20th Anniversary Jersey mashes up 10 famous home designs to create one special edition shirt which the team will wear – for the first and only time – when they face their city rivals at the San Siro on March 17. 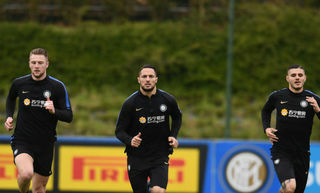 “The jersey is like a roadmap of Inter’s recent history,” explains Pete Hoppins, Nike Football Apparel Senior Design Director. The jersey features five designs on the front and five more on the back, with several important moments represented. These include Inter’s first season with Nike in 1998-99, a shirt worn by legendary striker Ronaldo; the club’s centenary season in 2008-09, a team captained by Inter legend Javier Zanetti; and perhaps Inter’s greatest ever season, the historic treble-winning campaign of 2009-10. A golden crest, swoosh and sponsor’s logo detail the front of the shirt, while a custom ’20-year’ inner pride feature provides a finishing touch. As well as the standard ‘stadium level’ jersey, a vaporknit ‘match level’ version has been produced, limited to 1908 units to honour Inter’s founding year. The Inter x Nike 20th Anniversary Jersey will be available from 9 March on nike.com, store.inter.it and selected retailers. 2008-09 A special kit for Inter for the first season after the club’s centenary. 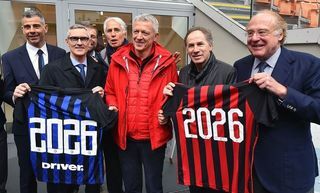 Marotta: "It's important to transmit the value of memory"